Just once, wouldn’t it feel good to tie into one of those monster lakers? Or maybe a northern pike as long as your arm, cruising through the weedbeds, looking for a tasty 8” pink bunny pattern? What about our unique, sail-finned grayling, God’s gift to fly fishers, as pretty a fish as you’ll ever see? Well, not to brag or anything, but, ahem, if you’d like to turn your fishing up a notch or ten, you’ve come to the right place. 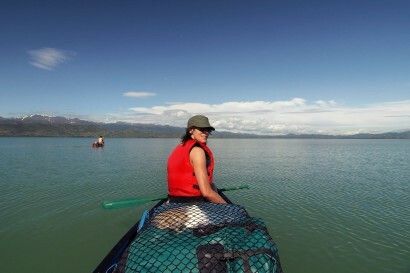 The Yukon’s waterways are home to 27 species of freshwater fish, 11 classified as sport fish. 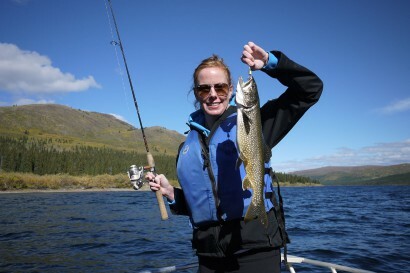 Whatever you're angling for – from lake trout, Arctic grayling, northern pike, Dolly Varden, whitefish, burbot, inconnu to salmon – Yukon guides will steer you in the right direction. 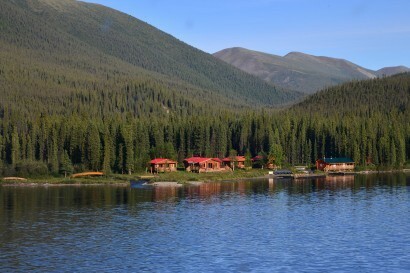 Even then, catching fish may become secondary given the wildlife to encounter, waters to explore, and the cozy cabin comforts or luxury lodges to enjoy after a perfect day of fishing.